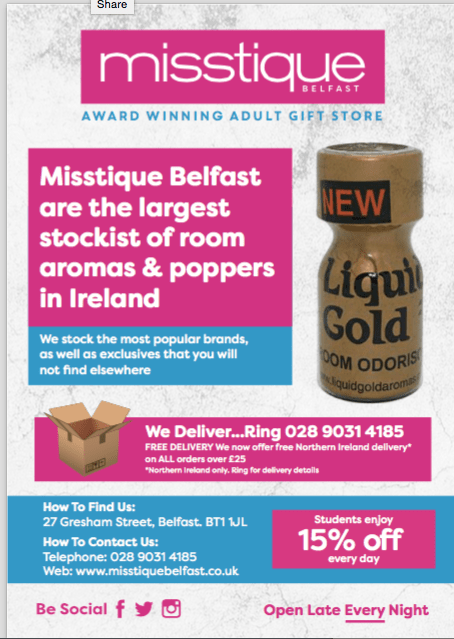 Award-winning gay adult shop, based in Belfast city centre. 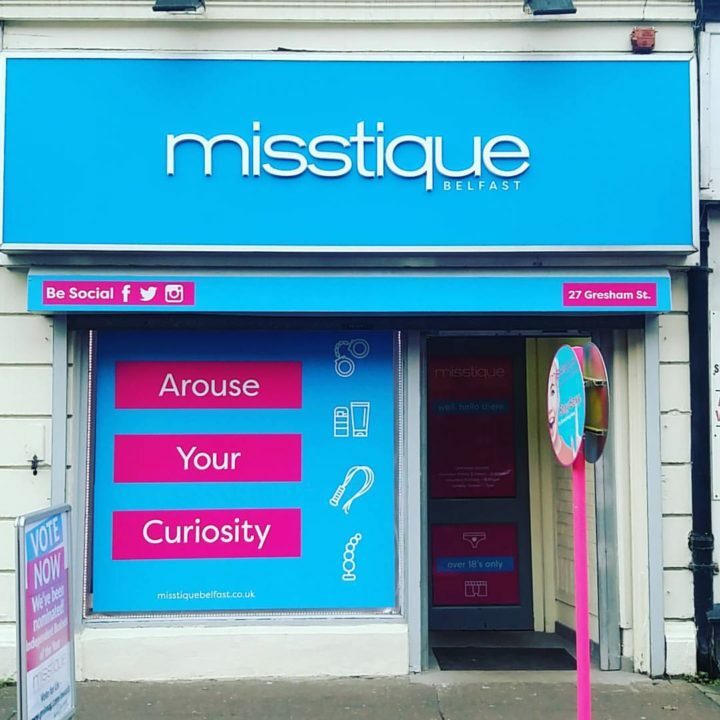 Open 7 Days per week, late every night! 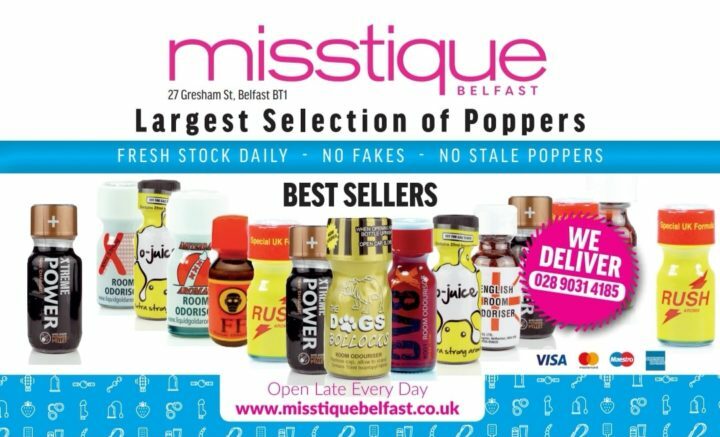 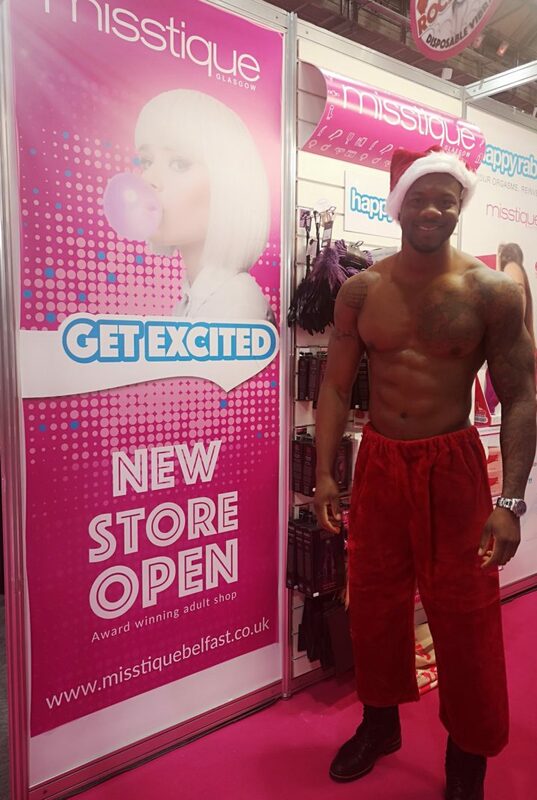 Misstique is the longest-running specialist adult retailer in Belfast that stocks a wide range of gay-related books, toys, DVD’s, condoms, underwear, etc, plus the biggest range of poppers in Ireland.